After only 5 days on a no sugar diet, I realized the power sugar really has over me. Here’s what happened when I cut added sugar out of my diet for less than a week. 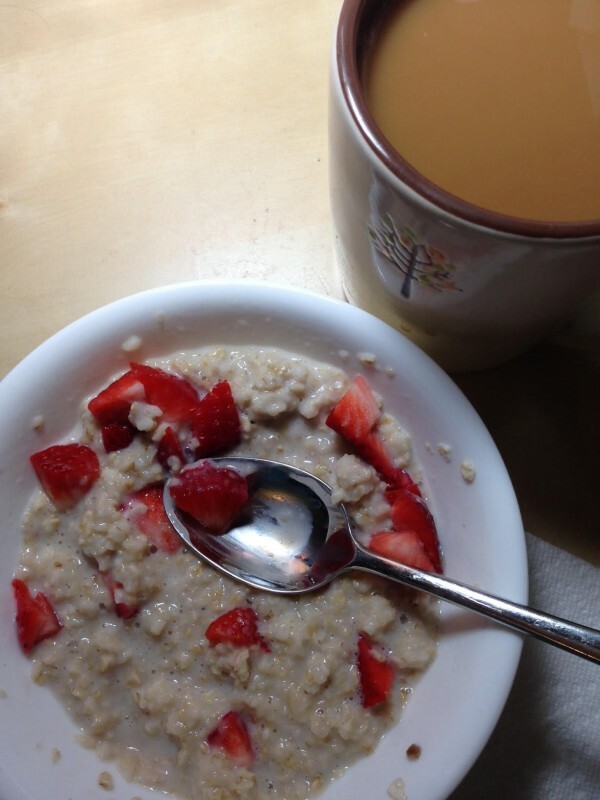 I am trying to be more conscious of the way different foods make my body feel. For years, I have been anti-diet yet I have fallen prey to popular fads from time to time. And now that I’m 40, I am more aware of various forms of “food hangovers” and life is so much better when I stop and listen to my body. What I know is I will never completely eliminate any category of food from my diet. It’s not realistic or healthy in my opinion and that is one reason I am loving my FASTer Way to Fat Loss journey. All good things in moderation and all sugar is not created equal. 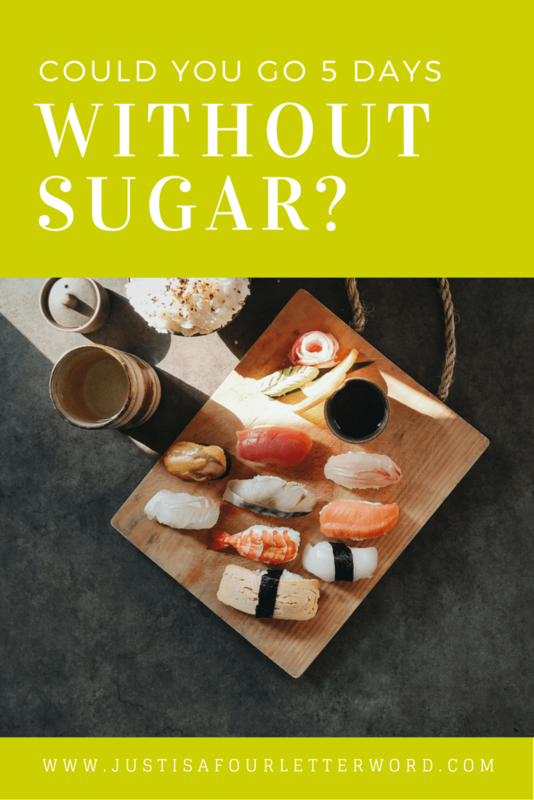 What is a No Sugar Diet? A no sugar diet is an eating plan where you don’t consume foods with added sugar. Foods, like fruit, with naturally occurring sugar are ok in moderation. I’ve been using the My Fitness Pal app off and on for years now. I love data so it’s interesting for me to track calories and other information. 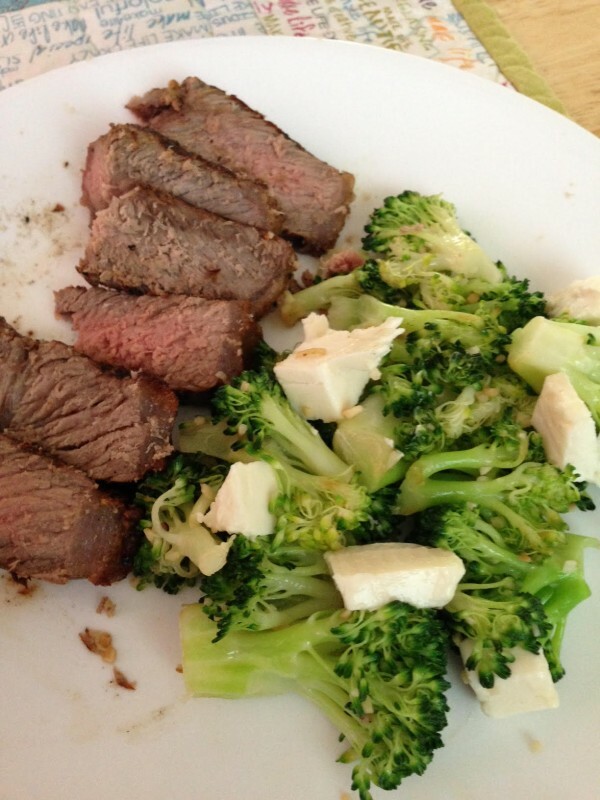 The most success I have ever had losing weight has been when I counted calories and more recently, macros. It’s an arduous task and pretty annoying, but it worked for me. But one thing I never paid attention to was my sugar intake. I figured, if I was within my calorie limits, it didn’t matter. When my friend Erin challenged me and others to consume no more than 25g of sugar daily for 5 consecutive days, I wanted to give it a shot. Those 25g needed to also come from natural sources like fruits and vegetables and we couldn’t use artificial sweeteners either. I liked that no added sugar didn’t mean zero sugar. The no sugar diet seemed like an easy task until you realize one apple contains half the daily sugar allowance. And just so you know, 25-30g of sugar is the American Heart Association’s recommendation, not just some number Erin pulled out of the air. So I thought, why not? It’s basically just my workweek. I have already started to cut back on processed foods, so cutting sugar shouldn’t be that hard. And in many ways it wasn’t! Here is what I learned by cutting sugar for a week. I stopped feeling hungry when I cut sugar. This was by and large the biggest light-bulb moment of the week. 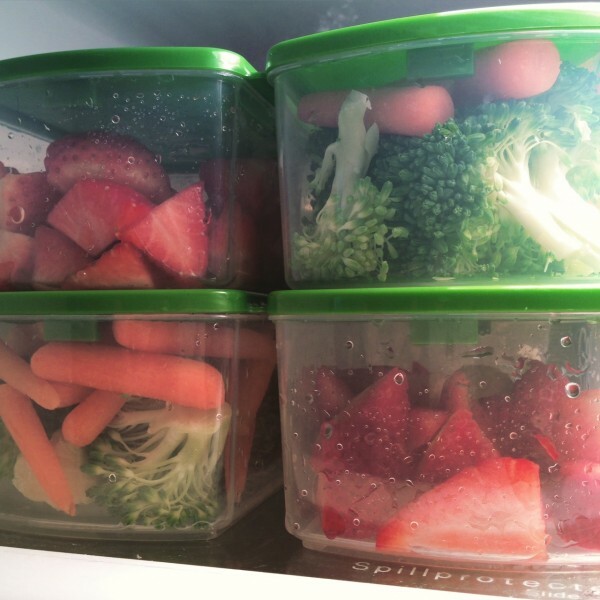 I prepared my meals. I ate my meals. I was satisfied with my meals. There were several days when I wasn’t even hungry for the snack I had prepared in advance and even one day when I had to force myself to meet my 1200 calorie minimum. Please understand something; this is NOT me. I LOVE to eat. But without my normal cravings, my brain finally understood when I didn’t NEED to eat. I have a lot more energy when I eat less sugar. I have cut calories before, which often left me exhausted. I’ll be honest and say I didn’t get to the gym this week, but as I am trying to be more consistent with my exercise, I can actually see it happening now. And cooking is actually fun again! In fact, I’ve been adding more and more gadgets to make staying healthy more enjoyable. I got a nice productivity boost with out a sugar crash. This was a particularly trying and busy work-week. I found that when there were fires to put out, I was able to focus on the task at hand and get it done. I was more efficient and quicker to make decisions. I actually enjoy eating real food that isn’t loaded with sugar. Cutting sugar does not mean I am eating diet food. I refuse to do that. It’s more expensive to buy prepackaged program bars or special breads. Instead of doing that or cutting breads entirely, I just reduced the amount of certain items. For instance, I now eat my sandwiches open-faced with one slice of bread instead of two. I love dips so it was not a huge deal to switch from crackers and hummus to carrots and hummus. I can use greek yogurt instead of plain when making sauce for my Cajun Cod Fish Tacos. My biggest takeaway while eating low sugar or no sugar foods was that I don’t hate it. I really don’t! Last night we went out for sushi and I started to eat a salad with ginger dressing. It was so sweet I couldn’t even take more than a couple bites so I switched to miso soup. We typically go out to eat on Fridays so I knew I would probably have some sugar. But I have to say I am really happy with our dinner. 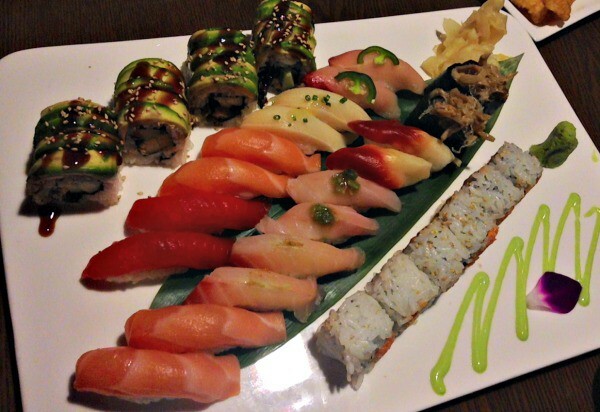 We shared the Sushi-for-Two and then a delicious dessert. But what I found was just a few bites was plenty. I didn’t need more, I didn’t need my own. This is a big deal. I had no idea sugar was responsible for so much of what ailed me! Shopping the perimeter of the grocery store and even designing a custom snack delivery box are ways to keep sugar at bay. Every little bit helps, right? Could you do a no sugar diet? I promise the first few days are the hardest. If you want to try cutting sugar, I recommend keeping a journal and really listening to your body to see how it makes you feel. You may be surprised! And if you’re looking for a super flexible eating and workout plan, check out my Ultimate Guide to the FASTer Way to Fat Loss. It’s amazing, right? I honestly did the 5 day because I had a girl’s night scheduled for tonight and I knew I was going to want wine. 🙂 But I’m going to maintain this and splurge for special occasions. Life is meant to be enjoyed and that does include the occasional cake and glass of wine. I’m glad you had a good experience. I did too! Yes! It has been really great. And I lost 2lbs! I’ll take it. I needed a major reset because every day had become a “special occasion” 🙂 Thanks for the inspiration! Great post, Andrea. And really true. I’ve been on this produce delivery kick, and even though I did Dr. Oz for two weeks, I basically did the same thing as you, but didn’t really count my grams. I really need to do this with Liza. She has way too much. Oh my gosh don’t even get me started on the kids food. I was buying natural applesauce in bulk for lunches and just this week realized they did a sneaky switch and what I have now is “original” with double the sugar!! So frustrating. After all the winter “stores” I took in over the holidays, I say yes 🙂 But seriously, that is my absolute minimum and on days when I am active (which have been harder to come by) it’s higher. Mentioning that was just me saying WOAH I felt totally full and I barely met my minimum. That is so unlike me. I will never starve 🙂 This I can promise you! Just this week I started cutting back on sugar. I am currently 2 months off Diet Coke and know that sugar is the next thing on my “hit list” 🙂 I’m confident that I can do it but boy, do I have a sweet tooth. I know it won’t be the easiest thing ever but I “think I can”! The hardest part for me is not having my Coke Zero. Like really super hard. That is the one thing I haven’t stopped wanting. Just trying to keep going. I DO like water so it’s not the end of the world. Completely. I still think about having a Diet Coke every single day, so yes, that craving is still there for me. I definitely have to wean off the sugar, the headaches I’m having as I withdraw are killers 🙁 But it will be all good in the long run! I am glad to see it worked well for you. I need to try it for myself soon. I am paying more attention but not as much as I would like to. Trying to focus on “added” and not concern myself with natural sugars, but added ones are everywhere! Seeing a you are a woman , you’d really need to give this am entire menstrual cycle to see how it affects you. Due to the hormonal changes and simply the mental motivation we get from trying new things it’s hard to tell if it’s your body’s natural cues you felt when breaking a habit, or only the effect of less sugar. Your description here is how I always feel around the week I ovulate. Not so much after menstruation. Sugar is incredibly addicting. And if you keep reminding yourself that cancer relies on sugar to grow and spread, that alone may be enough to not go back!